Frank Maloy was born in Milan, Georgia on January 2, 1927 into a family in which nearly everyone played string instruments. As a youngster, he started off playing fiddle with a bow haired with sewing thread. From the Sears Roebuck catalog, Frank ordered the book 1000 Fiddle Tunes, published by M.M. Cole, and completed the "U.S. School of Music" correspondence course in music theory. Frank and Joe's older brother Grooms Maloy, already a well-known and accomplished musician, went into the service in World War II and, tragically, was killed in action in the Philippines. So Frank, along with his younger brother Joe on guitar, started out on their own, playing for theaters, parties, and square dances around rural South Georgia. By 1946, the Maloy Brothers were playing over radio station WBHB in Fitzgerald, Georgia with Charlie Dowdy and the Prairie Boys, the music a mix of country, western swing, and current popular numbers. Over time, Frank expanded his horizons, becoming proficient on guitar, mandolin, bass, saxophone and clarinet, in addition to the fiddle. In 1950, Frank and Joe moved to Macon, Georgia, and Frank began a ten-year stint on TV and radio with Gene Stripling's band "Uncle Ned and the Hayloft Jamboree." After Stripling's death in 1960, Frank and Joe organized “The Swingmasters,” a dance band that kept up a busy pace in South and Central Georgia for several decades. In the 1980s, the brothers migrated to the Outer Banks area of North Carolina, playing "beach music" and '50s rock and roll. Subsequently returning to Georgia, they played swing, jazz, and popular music with the Dave Mercer Band for much of the 1980's and 1990's. In 1999, they reorganized the Swingmasters and continued playing the South Georgia dance circuit until Joe's passing in 2005. 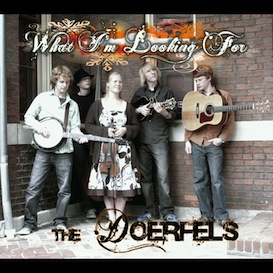 A fine example of Frank and Joe's collaboration on swing fiddle and flattop guitar was recorded in 1999, mentioned above. During their long career, Joe and Frank Maloy accrued a wealth of accolades, including the Atlanta Country Music Hall of Fame's Hall of Honor award (1993) and Education Award (2002), and from the Atlanta Society of Entertainers, the “Ray Melton Music Man” Award (2004) and for Frank, the “Songwriter of the Year” Award (2007) and the “Fiddlin’ John Carson Award,” from Phyllis and John L. Carson of Fiddlin' John Carson Productions Group (2010), among others. 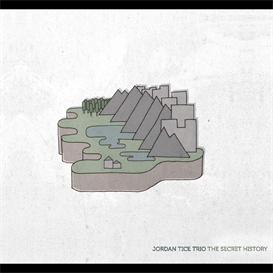 Which brings us to this fiddle tune project. After the death of his brother Joe, Frank found himself at home, going through his daily routine with a mandolin in his hands, composing one original fiddle tune after another. Frank jokes about how he wrote many of these tunes in the bathroom! 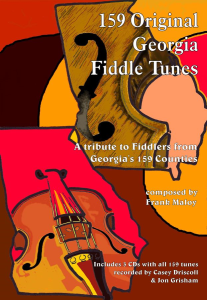 After naming some tunes for friends and fellow musicians, Frank hit upon the idea of paying tribute to the longstanding fiddle tradition in his home state of Georgia by writing and naming an original fiddle tune for each of Georgia's 159 counties. He executed this plan at an astonishing pace, composing a wide repertoire of breakdowns, reels, and hornpipes in the space of a few short months. Frank's elegant hand-written musical notations, as well as his comments on this project, are included here. Talented young fiddler Casey Driscoll skillfully and beautifully plays each of Frank's tunes directly from the notations included here, accompanied on guitar by Jonathan Grisham. As a youngster, Casey won a number of fiddling contests in his home state of Washington. After moving to Nashville as a teenager, he studied classical violin while continuing to play traditional fiddle styles. Tom Mindte discovered Casey at the Grand Master's Fiddle Contest and offered him a chance to record. Casey recorded his debut CD, “Texas Style Fiddling” (Patuxent CD-166) while a senior in high school. 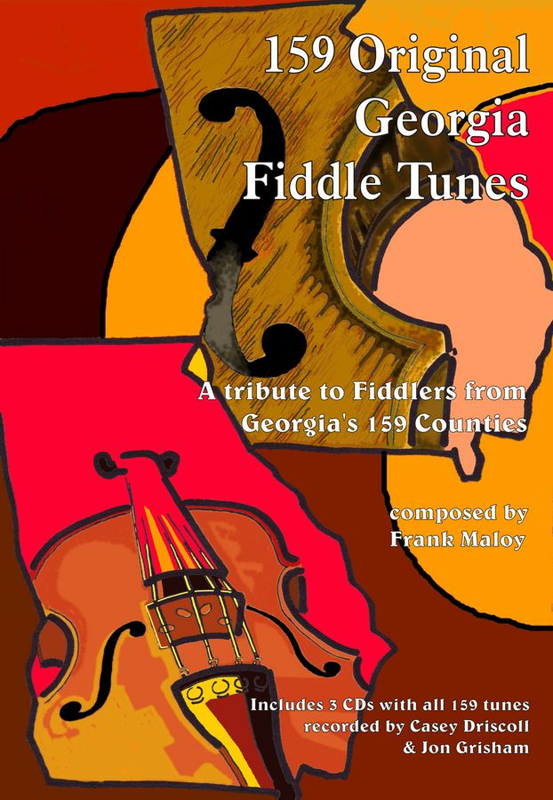 After Tom introduced the young fiddler to Frank Maloy, Frank asked Casey if he would record these 159 fiddle compositions for this project. 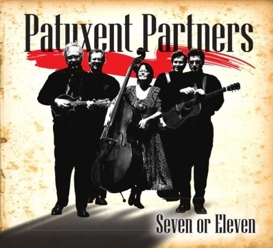 Casey and Jonathan recorded the tunes in December 2007 at Patuxent Music studios in Rockville, Maryland. Casey, who also plays classical guitar and piano, currently studies commercial music at Belmont University in Nashville.